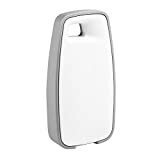 Home › Samsung Smartthings › Samsung SmartThings Outlet Discontinued? Fire Hazard? Out Of Stock Everywhere! Now for the last 5 months its been impossible to buy a ST Outlet other than buying a ST Starter Kit which when it was £99 pounds over the Christmas period it may have been worth it, as not only would you get the outlet worth £40-45 but a presence sensor, multi sensor, motion sensor and a hub which you can easily sell for around £50 on eBay. Now back on topic, the reason for the zero stock available in the UK is it has some problems with handling power-hungry devices is making them melt but that’s not limited to power-hungry devices it can be due to the device your using doesn’t have a plug up to specification, see more information on the matter over at the ST community now this problem was first reported in march 2017 but is has taken them until the 5th February 2018 for the following statement to be released. We are aware of, and are currently addressing, an issue affecting earlier generation three-pin SmartThings Power Outlets in the UK. We have determined that, under extremely rare circumstances, there can be a loose connection to a pin of the plug inserted into the outlet. We have conducted a thorough analysis and can confirm that the Power Outlets have safety features within them designed to mitigate safety risks from such issues. 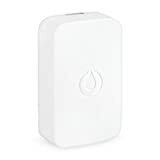 Customers who have any related concerns should contact SmartThings support through their SmartThings App (open SmartThings App >>> Dashboard >>> Support) or directly using support@smartthings.co.uk where a member of our team will be able to assist. A large number of UK receptacles contain some sort of thermal response fuse (lived there for almost 2 years and in EU for 27 years), and they generally go up to 13A. Problem is power. In the US, 20A @ 120V means a total instantaneous AC power of 2400VA, whereas the UK 13A plug can deliver a total of 2860VA @ 220V. That extra 460VA is what manufacturers don’t always take into account, causing the trouble. The smart plug is simply not designed to accept that max 2860VA draw a plug (and breaker) in the UK permits. Then boom. I don’t use ST Outlets for switching anything I have three around my home to boost the ZigBee signal around my house. I setup my friend’s house over the Christmas period which is having huge problems with device drop-outs in parts of his house where ZigBee signal is weak, there are no UK socket alternatives in the UK to boost the signal so he is having to waiting for stock to become available. 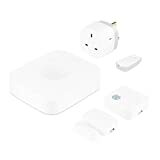 Currently I can’t recommend SmartThings to anyone unless you can get your ST Hub in the middle of your house you may get away with it while waiting for the new Outlet to become available also there is a 32 device limit with ZigBee without repeaters so with the starter kit you can have a maximum of 64 devices doesn’t sound a lot but if you start doing all your windows and doors it soon adds up, By the way Z-Wave has a device limit of 232 and there’s more options to boost a Z-Wave signal which is any device not powered by batteries but there are exceptions to this. New Plug, it’s in the new Smart Kits and reported that customer services will send replacements if you contact them about this issue. BS 1363, 13 A plugs socket-outlets adaptors and connection units is a British Standard which specifies the most common type of single-phase AC power plugs and sockets that are used in the United Kingdom. Distinctive characteristics of the system are shutters on the neutral and line socket holes, and a fuse in the plug. Thanks Steve for posting this. They have finally agreed to replace my power socket only after referring to 12th December 17 post mentioned above. 3 Pings/Trackbacks for "Samsung SmartThings Outlet Discontinued? Fire Hazard? Out Of Stock Everywhere!"